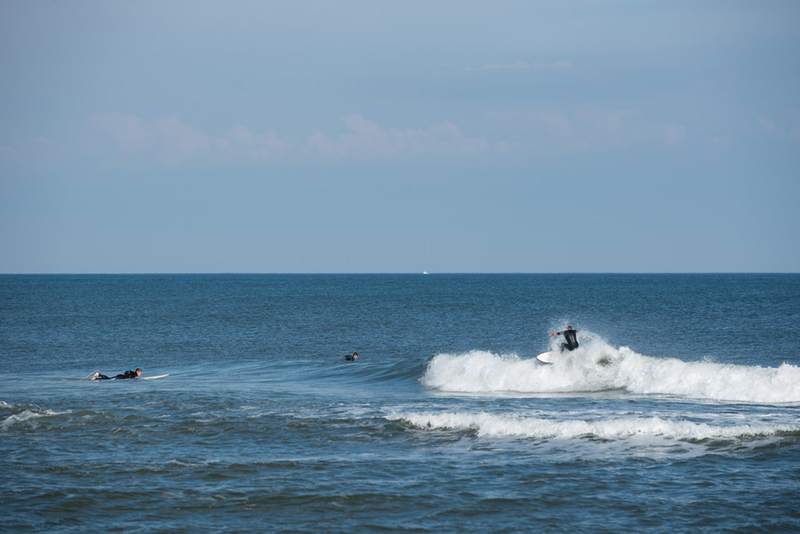 Spring Lake welcomes thousands of visitors to its beach and boardwalk each summer. Local sponsors are an important part of any house tour. 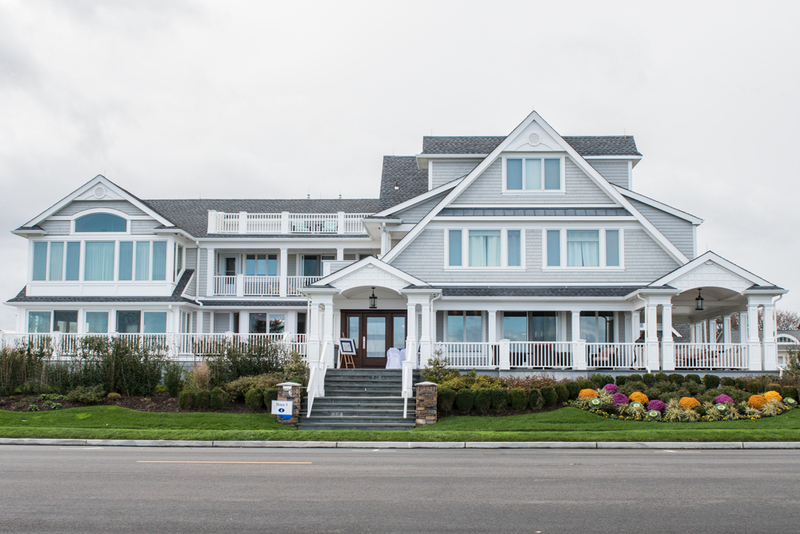 Barlow’s Garden Center in Sea Girt, Ray’s Café with locations in Spring Lake and Sea Girt, and Whimsicality, a Spring Lake home shop with interior design services are just a few of the local businesses who supported this event. Grass cloth, tiny tile and wood wainscoting—three distinct elements that work together, thanks to a muted color scheme. 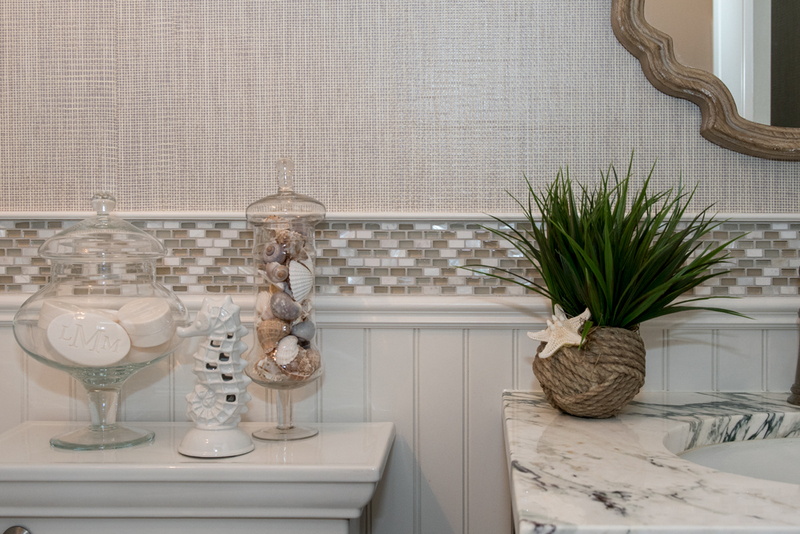 Silver and gold accents give this powder room a cosmopolitan feel. 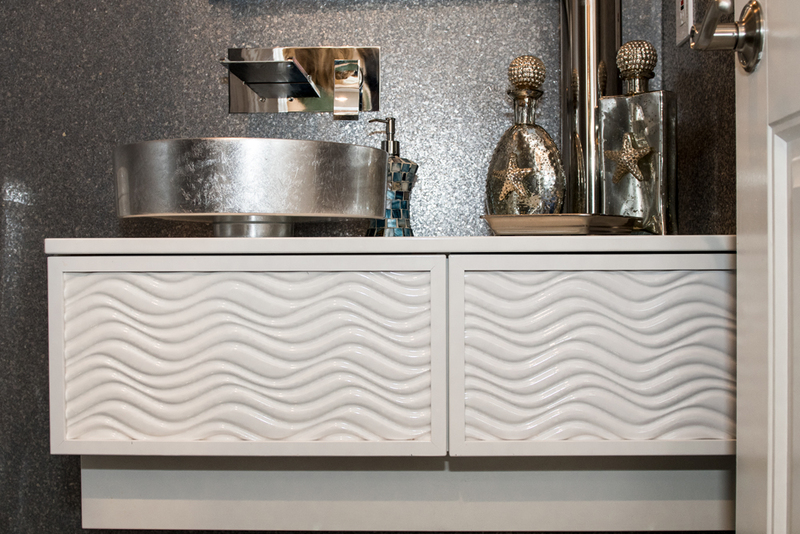 A wavelike pattern on the vanity and starfish details on the accessories are reminders of the home’s coastal location. 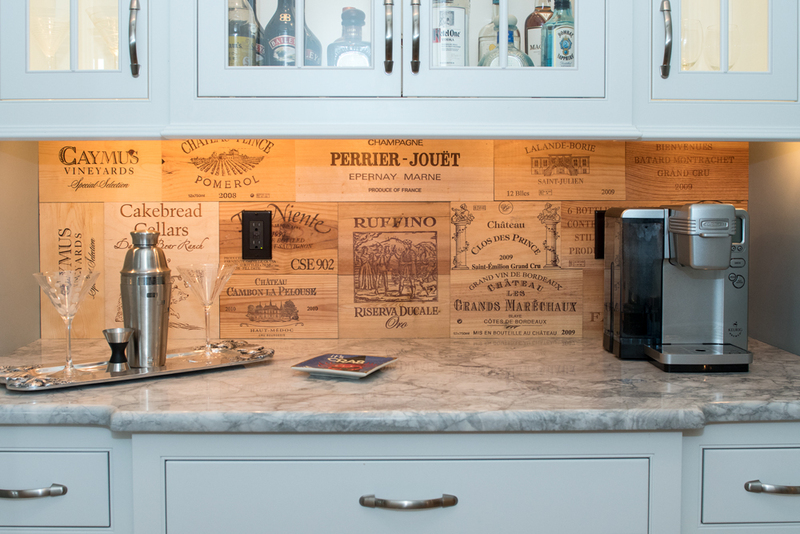 Fragments of beautifully detailed wine crates from various vineyards in an assortment of sizes make this backsplash endlessly interesting. So many textures, where to look first? The neutral palette blends disparate elements—such as distressed chairs, wheat stalk centerpieces, a floral arrangement in a smooth but bulbous vase, and clay jugs—to create a harmonious look. 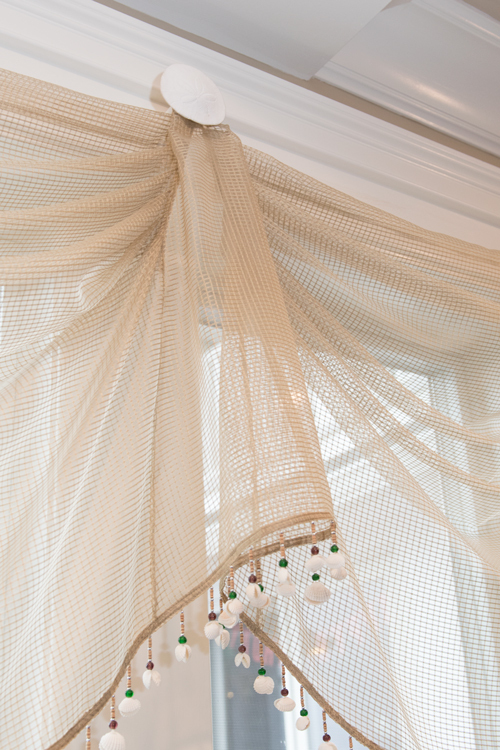 A simple idea—netting with bead-and-seashell fringe hanging from a sand dollar curtain hook—forms the epitome of seaside décor. A smooth shiny faucet, a smooth matte countertop, and a raised-dot earthenware vase keep things interesting in this kitchen. 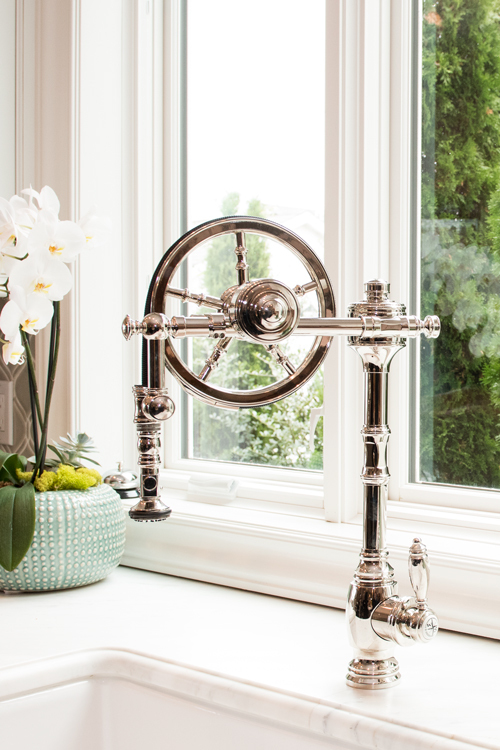 This fantastic faucet is reminiscent of a ship’s helm. The tour featured spectacular homes and fantastic food. 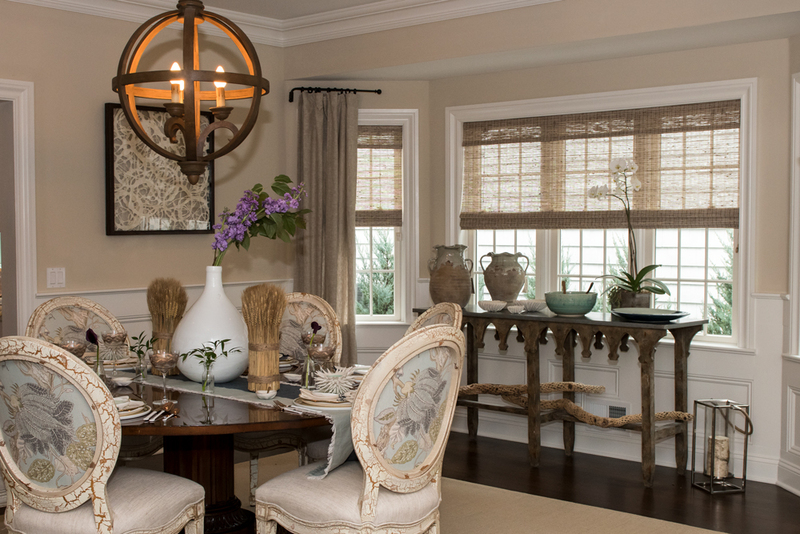 Here at Design NJ, we are privileged to visit some of the loveliest homes in the state on a regular basis. But we feel particularly fortunate when we have the chance to participate in a house tour. House tours always give us a new perspective on interior design, as well as providing an opportunity to contribute to worthy causes. They allow us to understand what makes a town tick, and see how a neighborhood’s ambience is reflected in the homes on the tour. They also give us a golden opportunity to meet the guests—New Jersey residents who are curious about design—and discuss the things that are important to them when creating a space for their families. That’s why we were thrilled to partner with several wonderful organizations to sponsor the Taste of Spring Lake Kitchen Tour, which took place last October to benefit the H.W. Mountz School PTA. It featured beautiful architecture, stunning interiors, glorious gardens and food provided by local restaurants. The Tour was a textural odyssey, showcasing a wide assortment of materials in interesting combinations. Here’s a quick look at some of the design details we discovered that day.